Madison County is located in North Carolina with the town of Marshall as its county seat. The county was formed in 1851 and named after the United States’ fourth president, James Madison. As of the 2000 census, the population of Madison County was 19,635. Madison County’s economy thrives on agriculture. This is the county’s traditional way of living and reflects the importance of small family enterprises here. It is a pleasant rural area that is hard to find in this day and age. Many residents make their living by cattle farming, tobacco growing, Christmas tree farming, trout farming, and other livestock. For Madison County, $19 million is the total annual gross income for this booming industry. There are many outdoor activities available for residents and visitors of Madison County, NC. Skiing and snowboarding are popular pastimes in the winter months at Wolf Laurel Ski Resort located in Mars Hill. Madison’s county seat of Marshall has a historical Main Street with many unique shops and eateries representing the culture this area has. 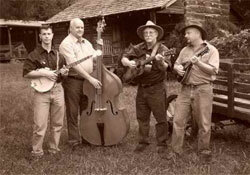 Madison County offers traditional music to the area and also hosts the annual Lunsford Music Festival. The town of Hot Springs provides for many outdoor activities because of its location near the Appalachian Trail. Many choose to whitewater raft and canoe the French Broad River and hike the nearby trails. After a strenuous day outdoors you can then relax in North Carolina’s only hot mineral baths. Madison County offers a lot of history, beauty, and simplicity. The people of this county have not forgotten their roots and choose to honor their county’s heritage. Madison County is a great place to visit and an even better place to live! Be sure to contact Mountain Home Properties to learn more about the area and be sure to view our Madison County real estate.